Robert Anstice's parents were William and Penelope Anstice. William Anstice ran an ironworks and this family business was eventually taken over by the eldest of the Anstice's four sons who was named William after his father. The second son of the family, Joseph, attended Westminster School and then studied at Christ Church, Oxford before becoming professor of Classical Literature at King's College London when he was only 22 years old. Robert Anstice was the fourth and youngest of William and Penelope Anstice's sons. He took the same educational route as his older brother Joseph, attending Westminster School before entering Christ Church, Oxford in 1831. There he studied mathematics, graduating with a BA with first class honours in 1835 and an MA in 1837. We know that Anstice was awarded a scholarship to study mathematics after graduating at Oxford but there is then a rather strange gap in our knowledge of him for nothing is known of what he did over the following ten years. Clearly he decided to join the Church at some stage for the next event that we know of in his life was his ordination. a fine philosophical preacher, and greatly mourned when he died. Anstice died young, being only 40 years old, but he did survive longer than his elder brother Joseph, who died at about the age of 28 years, only six years after his appointment to the chair of Classical Literature at King's College London. 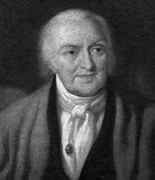 Robert Anstice wrote three mathematical papers in his six years as rector in the parish of Wigginton. The first paper was On the motion of a free pendulum but the next two are the ones of real interest. They are both on combinatorics and they each have the same title namely On a problem in combinations. During his time at Wigginton, Anstice became interested in the mathematical work of another rector, Kirkman, who had written on the subject of Steiner triple systems (as they are now called). In one of his papers Kirkman gave an elegant construction of a resolvable Steiner triple system on 15 elements (the famous Kirkman 15 schoolgirls problem), making use of what are now known as a Room square of order 8 and the Fano plane. Kirkman stated that the generalisation of this construction seemed very hard. Anstice achieved a brilliant generalisation to a resolvable Steiner triple system on 2p + 1 elements for all primes p congruent to 1 modulo 6. He gave infinite families of cyclic Steiner triple systems 40 years before Netto (who did so in 1893). Anstice also constructed an infinite number of Room squares a hundred years before T G Room wrote his paper in which it was thought for many years that the squares first appeared and from which they were named. Perhaps even more remarkable is the fact that the method of differences which Anstice used has become one of the standard methods of design construction. We reveal the contents of two remarkable papers by R R Anstice, and thereby rewrite part of the early history of combinatorial designs. Infinite families of cyclic Steiner triple systems and Room squares are constructed [in the papers]. But too much space has been already devoted to such a trifle. [Anstice] is buried beside his parents, almost forgotten by the mathematical community. He deserves greater recognition.